Market Orientation, Customer Service, Customer Centricity, Online Shopping Behaviour, Social Media Marketing. Rishi, B. (2015) Islamic Perspectives on Marketing and Consumer Behavior: Planning, Implementation, and Control, Edited, IGI Global, USA, ISSN 978-1-4666-8139-2. Rishi, B. & Singh, H. (2015), 4th Emerging Markets Conference: Redefining Value in Emerging Markets, Conference Proceedings, IMT Ghaziabad, India, ISSN 978 -93 – 5196 – 809 -2. Rishi, B. Sabnis, N., Bagchi, S. (2017) Hockey India League: Remnants of India’s long lost glory, Emerald Emerging Markets Case Studies, Vol. 7, No.2, pp. 1-5. Rishi, B., Kapoor, A., Bhatia, S. (2016) AaramShop.com reinventing the e-grocery wheel in India, Emerald Emerging Markets Case Studies, VOL. 6, NO. 2 ,2016, pp. 1-28. Rishi, B., Sarda, P. (2013) Kalazone Silk Mills Limited – Leveraging the Social Media, The Casecentre, 513-040-1. Rishi, B., Botta, S. (2014) Sub Brands of Titan: A saga of Success, The Casecentre, 514-081-1. Rishi, B., Botta, S. (2014) Sub Brands of Titan: A saga of Success (Teaching Note), The Casecentre, 514-081-8. Rishi, B., Pradeep, H. & Vishwanathan, M. (2018), Hesitation to Adoption in the E – Grocery Retailing in an Emerging Market, International Journal of Business Innovation and Research, Vol. 15, No. 1, pp. 99 – 118. Rishi, B. and Al Khasawneh, A.H.M. (2017) ‘Determinants of online purchase intention: a study of Emirati consumers’, International Journal of Islamic Marketing and Branding, Vol. 2, No. 3, pp.200–214. Chatterjee, T.K., Rishi, B.and Nargundkar, R. (2017) A motive-based segmentation of Indian domestic tourists, International Journal of Indian Culture and Business Management, Vol. 14, No. 2, pp. 162 -179. Rishi, B. & Mehra, A. (2016), key determinants for purchasing pirated software among students, International Journal of Technology Marketing, Vol 12, No. 1, pp. 4 -22. Rishi, B. (2013) Determinants of brand trust for FMCG products with special reference to shampoos category, Asia Pacific Journal of Management Research and Innovation (Sage), Vol. 9, No.2, pp. 221 -227. Rishi, B., Singh, A., Mishra, K (2013) Multiattribute Attitude Measurement of Incredible India Campaign, European Journal of Business and Management, Vol. 5, pp. 106 -112. Rishi, B, and Singh, H. (2012), Determinants of Supermarket Shopping Behaviour in an Emerging Market, Journal of Business & Retail Management Research, Vol. 7, No. 1, pp. 27 – 38. Rishi, B. (2011) ‘Factors affecting shopping of apparels in organised retail stores’, International Journal of Business Innovation and Research, Vol. 5, No. 5, pp.546–558. Singh, D.P. & Rishi, B. (2011) Media Consumption and Information Usage in India, Singapore Management Review, Vol. 33, No.1, pp. 111 – 126. Singh, H., Chadha, S.K. & Rishi, B. (2010) Service Quality Measurement and its implications: A case Study of Vishal Mega Mart, International Journal of Services and Standards, Vol. 6, No. 2, pp. 150 – 169. Rishi, B. and Goyal, D.P. (2011) Strategic Information Design Practices in an Emerging Economy, International Journal of Business Information Systems, Volume 7, Issue 2, pp. 388 – 401. Rishi, B. (2009) Understanding the Buying Behaviour of the Apparel Customers in the Organized Retail Formats, Asia Pacific Business Review, Vol. 5, No. 2, pp. 134 – 140. Rishi, B. (2010) Motivators and Decisional Influencers of Online Shopping, International Journal of Business Innovation and Research, V4 N3, pp. 195 – 209. Rishi, B. and Mishra, S. (2009) Training Outsourcing in Indian Telecom Sector: Critical Success Factors, International Journal of Indian Culture and Business Management, Vol. 2 No. 6, pp. 670 – 685. Rishi, B. and Goyal, D.P. (2009) Critical Success Factors in the Development of Strategic Information Systems in Indian Public Sector Organizations: An Inter-Organizational Analysis, International Journal of Indian Culture and Business Management, Vol. 2, No.5, pp. 469 – 492. Rishi, B. and Goyal, D.P. (2008) Designing of a Model for the Development of Strategic Information Systems in Public Sector Undertakings, International Journal of Business Information Systems, Issue 5,Volume 3, pp. 529 – 548. Rishi, B. and Goyal, D.P. (2008) Success Factors in the Implementation of Strategic Information Systems: An Empirical Investigation of Public Sector Undertakings in India, Journal of Advances in Management Research, Vol. 5, Issue I, pp. 46 – 55. Rishi, B., Iyer, P. Singh, D., Drivers of Purchase Intention on Travel and Tourism Mobile Applications, 7th IIMA Conference on Marketing in Emerging Economies, IIM Ahmedabad, India, January 11 – 13, 2017. B., Banerjee, P., Singh. S. (2017) ‘Luxury Value Perceptions in the Indian Market – A Sub Cultural Context’ Proceedings of the 2017 Annual Conference of the Emerging Markets Conference Board January 5–7, 2017, IIM Lucknow, pp. 230 -237. ISBN: 978-81-928560-2-5. B., Pokhriyal, A. (2017) ‘Luxury Consumers and Their Codes: A Profile Development’ Proceedings of the 2017 Annual Conference of the Emerging Markets Conference Board January 5–7, 2017, IIM Lucknow, pp. 55 – 60. ISBN: 978-81-928560-2-5. Rishi, B., Pradeep, H., & Viswanathan, (2015) The Changing Dynamics in E-Grocery Space: From Hesitation to Adoption at 2015 Emerging Markets conference (EMC) of the Emerging Markets Conference Board at Institute of Management Technology (IMT), Dubai (UAE), January 20 -22, 2015. Rishi, B. & Singh H. (2015) Hedonic and Utilitarian Shopping Motivations – A Study of Indian Consumers at 2015 Emerging Markets conference (EMC) of the Emerging Markets Conference Board at Institute of Management Technology (IMT), Dubai (UAE), January 20 -22, 2015. Rishi, B., Pareek, A & Tak, P. (2014) Social Comparison, Media habits and Ostentation of Luxury Fashion Brands Consumption, at 2014 Annual Conference of the Emerging Markets Conference Boardorganized by Indian Institute of Management, Lucknow, NOIDA Campus, India on 9 -11 January, 2014. Rishi, B. & Gueldenberg, S. Measuring Student Satisfaction – The Case of University Education at The Dubai International Conference in Higher Education: Succeeding in the Pursuit of Quality organized by Michigan State University, Dubai on January 28 -29, 2013. Rishi, B. & Sarda, P. Kalazone Silk Mills – Leveraging Social Media Asian Journal of Management Cases (AJMC) International Case Conference at Lahore University of Management Sciences (LUMS), Lahore, Pakistan on January 18 – 19, 2013. Rishi, B. Hedonic and Utilitarian Shopping Motivations among Indian Young Consumers”, International Conference on Technology and Business Management, University of Wollongong, Dubai, United Arab Emirates, March 26 – 28, 2012. Rishi, B., Jindal, K., Bharti, M., “Understanding Behaviour of Men towards Male Cosmetics: An Indian Perspective.” Yale-Great Lakes Sixth Annual International Research Conference held at Chennai, Tamilnadu, December 28, 2011. Rishi, B. Marketing Engineering Workshop, Indian School of Business (ISB), Hyderabad, March 5, 2010. Singh, H., Rishi, B. Service Quality Measurement and its implications: A case Study of Vishal Mega Mart, International Conference on Management and Valuation of Intangibles, University Business School (UBS), Punjab University, Chandigarh, December 22 -23, 2009. Rishi, B., Singh, H. ‘Factors affecting Brand Loyalty in a Fast Moving Consumer Goods (FMCG) Category’, International Conference on Management and Valuation of Intangibles organized, University Business School (UBS), Punjab University, Chandigarh, December 22 -23, 2009. Rishi, B. “Segmenting the Apparel Consumers in the Organized Retail Market”, 2nd IIMA International Conference on Advanced Data Analysis, Business Analytics and Intelligence, Indian Institute of Management (IIM), Ahmadabad, June 6 -7, 2009. Sarvanan, S., Dhar, A., Rishi, B. Logistics Issue in BALCO’s Alumina Import, International Conference on Management Cases, Organized by George Mason University, USA & IMT, Ghaziabad, December 1-2, 2008. Market Orientation of European Universities: A Case of the University of Liechtenstein funded by European Commission, Europe. Farmer’s Behaviour Towards contract farming of cotton in Punjab funded by IMT, Ghaziabad. 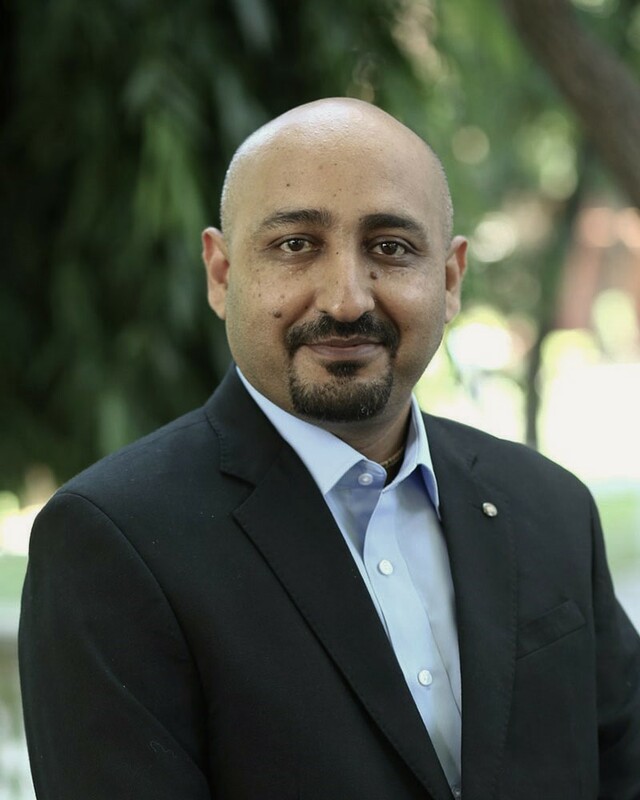 2016 -17 Maruti Suzuki India Limited Program Director, Leading customer Experience for Quality Managers of authorized dealers of Maruti NEXA Channel. Sessions delivered on Customer Delight, Understanding Customer Experience and delivering customer experience. Delivered Sessions on Customer Service, Customer Delight and Customer Relations as invited guest faculty in Central Warehousing Corporation (CWC), Indian Postal Academy, BPCL and many others. Designed, developed and conducted Open Management Development Programme for senior and middle level Executives as Programme Director in the area of “Creating Customer Centric Organisation, September 9-11, 2007, IMT Campus, Ghaziabad, India. Designed, developed and conducted Open Management Development Programme for senior and middle level Executives as Programme Director in the area of Internal Customer Sensitization: Strategies for Success, June 15 -16, 2009, IMT Campus, Ghaziabad. Designed, developed and conducted Open Management Development Programme for senior and middle level Executives as Programme Director in the area of Building a Customer Oriented Culture for Creating Customer Advocacy, August 21 -22, 2009, IMT Campus, Ghaziabad. Designed, developed and conducted Open Management Development Programme for senior and middle level Executives as Programme Director in the area of Internal Customer Sensitization: Strategies for Success, November 9 -10, 2009, IMT Campus, Ghaziabad. Assistant Professor, IMT Ghaziabad, August 2013 to August 2014. Senior Lecturer, IMT Ghaziabad Feb. 2007 – May 2009. Visiting Faculty, Indian Institute of Foreign Trade (IIFT), New Delhi. Adjunct Faculty, Manchester Business School, UK. Visiting Faculty, Academic Staff College, Punjab University, Chandigarh. Best Paper Award best paper award for his paper Determining the factors influencing Social Recruitment: A Conceptual Framework and Some Research Propositions in the International conference on Strategic Competency Mapping for Talent Management and Retention Organised by University Business School, Punjab University, Chandigarh on January 18 -19, 2018. Faculty Fellow, 3rd AMA (American Marketing Association) Sheth Foundation Doctoral Consortium, IMT Dubai (UAE), January 18 – 20, 2015. Best paper Award, 2014 Annual Conference of the Emerging Markets Conference Board at Indian Institute of Management, Lucknow, NOIDA Campus, India. Emerging Marketing Scholar, Academy of Marketing Science, USA.